March 12-13 & 14 • Abu Dhabi, U.A.E. Two-day conference and users group, followed by a one-day distributor training. ValvTechnologies is thrilled to announce that we are taking ITC, ValvTechnologies' International Technical Conference and Users Group, on the road to Abu Dhabi, U.A.E.! 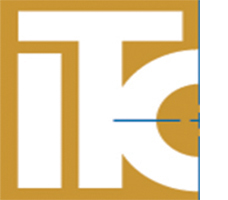 ITC Middle East will be held March 12 - 13, 2019 in Abu Dhabi, U.A.E. This event is a rare opportunity to bring together the best and most experienced valve industry professionals and application experts in an intimate setting to collaborate, share solutions and discover new technologies from other users, engineers and industry professionals. ITC Middle East will be an experience you will not forget. Designed to address regional markets' challenges, ITC Middle East will provide you useful information for practical application. From group and breakout sessions as well as interactive forums, you will leave the conference highly motivated and better equipped with the knowledge to improve your business operations. ITC Middle East is open to all ValvTechnologies’ customers, distributors and representatives from around the world, but will focus specifically on the unique market opportunities, challenges and needs of power and oil and gas customers in the Middle East region. Following ITC Middle East, a one-day, ValvTechnologies' Distributor training will be held on March 14, 2019. Discounted hotel room rates are available for ValvTechnologies' ITC attendees by contacting the Radisson Blu directly. Space is limited. Al Khurberiah, Abu Dhabi, U.A.E.